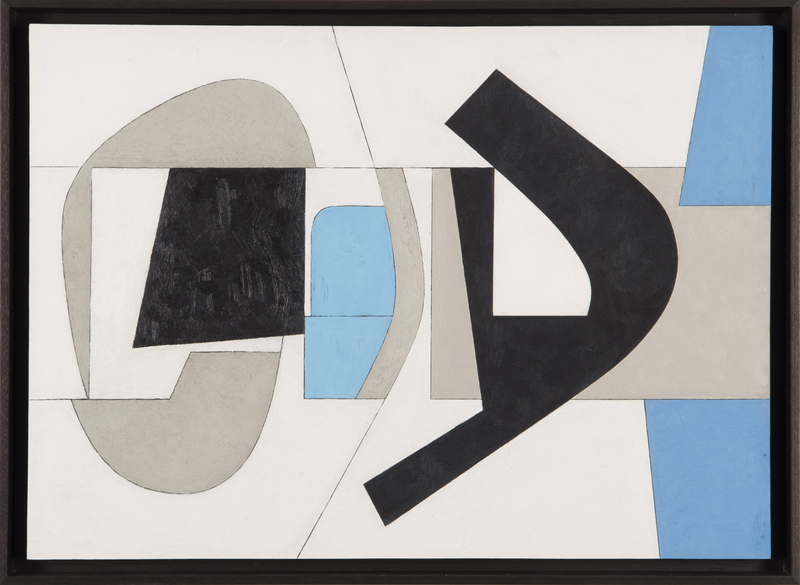 Acclaimed by Jean Arp as “the perfection of Cuba’s Cubists,” Arcay emerged among the postwar generation of the Ecole de Paris as a painter, muralist and, perhaps most familiarly, as a printmaker. Born in Cuba and trained at Havana’s Academia de San Alejandro, Arcay arrived in Paris on a grant in 1949. He assimilated quickly within the milieu of post-Cubist abstraction, studying at the Grande Chaumière and with Edgard Pillet and Jean Dewasne at their Atelier d’Art Abstrait. In 1951, at the invitation of André Bloc, the influential editor of the journal Art d’Aujourd’hui, Arcay set up a studio at Bloc’s villa in Meudon, mingling there amongst such luminaries of the historical avant-garde as Arp, Robert and Sonia Delaunay, and Fernand Léger. While celebrated as a printmaker, Arcay painted only through the 1950s and 1960s, sending work to the Salon des Réalités Nouvelles (1951-54) and regularly to Cuba. He exhibited as part of the Cuban delegation to the São Paulo Biennale (1955) and frequently at Havan’s Galería Color-Luz, a pioneering outpost of geometric abstraction. A member of both the constructivist Groupe Espace, founded by Bloc and Félix Del Marle in 1951, and the short-lived Cuban group Los Diez Pintores Concretos (1959-61), Arcay personified the rich diversity and internationalism of postwar abstraction.